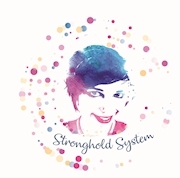 Support Power to the Plurals - Stronghold System on Ko-fi.com! - Ko-fi ❤️ Where creators get paid by fans, with a 'Buy Me a Coffee' button. We are the Stronghold System and we host Power to the Plurals. A website that provides information for DID systems and professionals. We also have a mostly educational youtube channel with over a 100 videos on dissociative identity disorder. With the money we get here we pay for the expenses of having the website, equipment we need and from time to time a coffee of course! We are the Stronghold System and we host Power to the Systems. A website that provides information for DID systems and professionals. We also have a mostly educational youtube channel with over a 100 videos on dissociative identity disorder. With the money we get here we pay for the expenses of having the website, equipment we need and from time to time a coffee of course! We also need lighting equipment and a better stand for the camera. But right now all money goes towards the website, so we can reach as many people as possible! Secured Payments. Support goes to Power to the Plurals - Stronghold System's account.